Cotton Candy Ideas are reaching a new level of popularity. 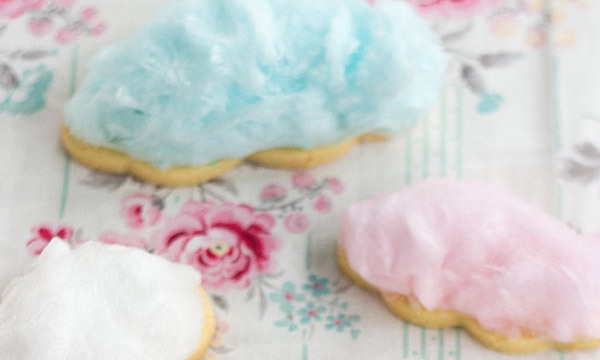 Who would have thought that cotton candy could be so stylish? 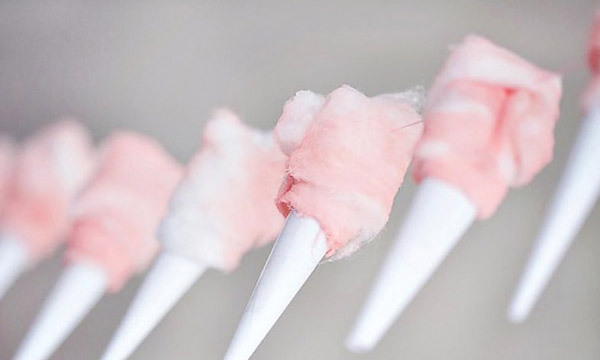 It’s a stunning addition to any celebration, from kiddies parties and Kitchen Tea’s to Weddings and Anniversaries, cotton candy adds a little extra fun and flair to your decor. 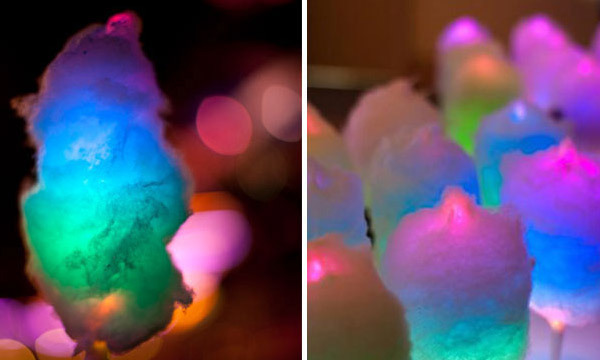 If you’d like to take your Cotton candy decor to the next level or turn your theme into a full blown Cotton Candy explosion, here are a few fabulous ideas. To add a sugary kiss to your drinks, fill martini or champagne glasses with cotton candy before your guests arrive. Pour champagne or sparkling wine over the cotton candy when you are ready to serve. If you are looking for affordable party favors, you can individually package and label a bag of candy floss. 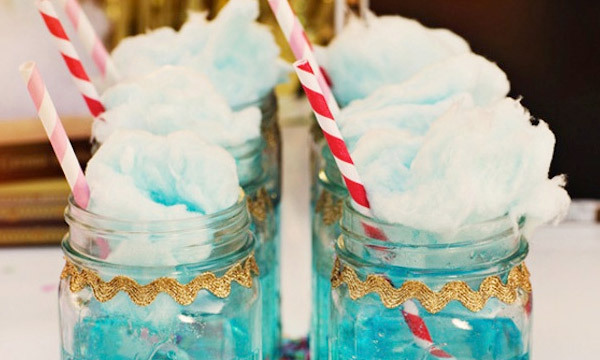 To add cotton candy to a treats table, you can fill small popcorn containers with the sugary cloud. The color of the cotton candy can even match your color scheme as it is not difficult to dye this sugar treat. Several party shops even carry a wide selection of ready colored sugar for you to choose from. 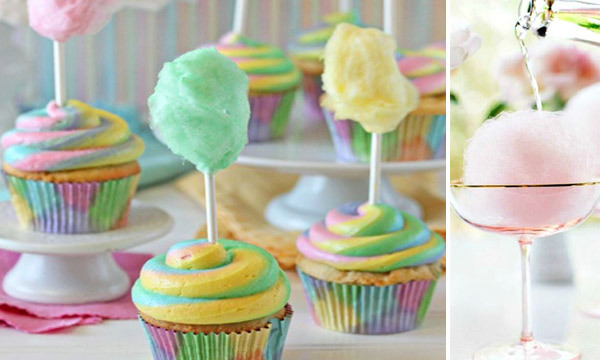 Don’t forget to add a tuft of Cotton candy to your cup cakes. A small amount will easily stick to the icing and will make even store bought cupcakes look like they have been made by fairies. Our writers are currently experimenting with a variety of cotton candy ideas and recipes for you to enjoy. They are hard at work “testing” with their cotton candy machines. Eating cotton candy and creating treats can be hard work. Thanks to their unfaltering dedication, we will soon be licking sticky lips and fingers and sharing an array of naughty but nice deserts. We look forward to your feedback and welcome and suggestions and requests. Can’t wait. When will the page be ready for viewing. We have my daughter’s 6th birthday party coming up and I would love some ideas. 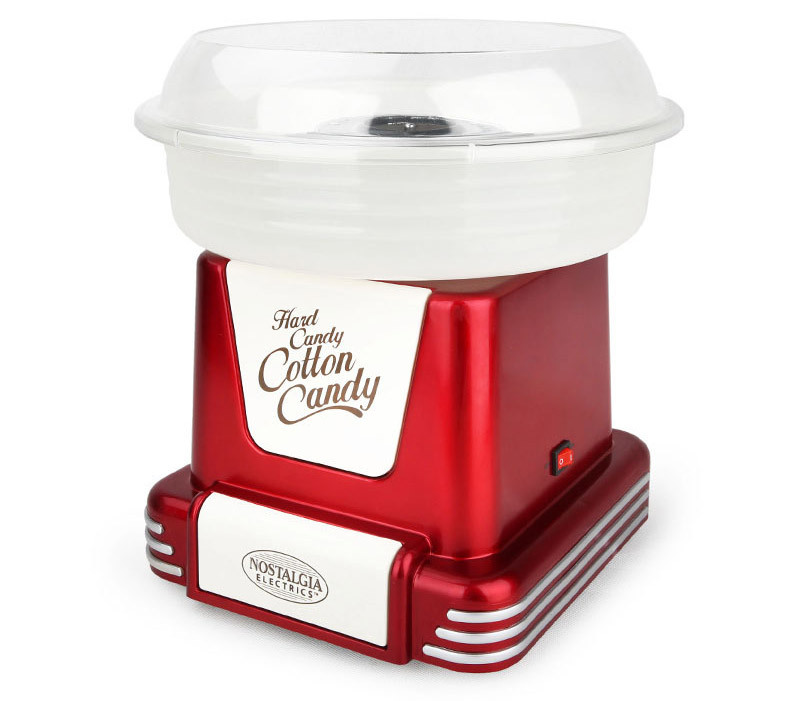 Also, does anyone know what kind of cotton candy maker we should be buying for a kids party? Nothing too fancy but it must be good quality.